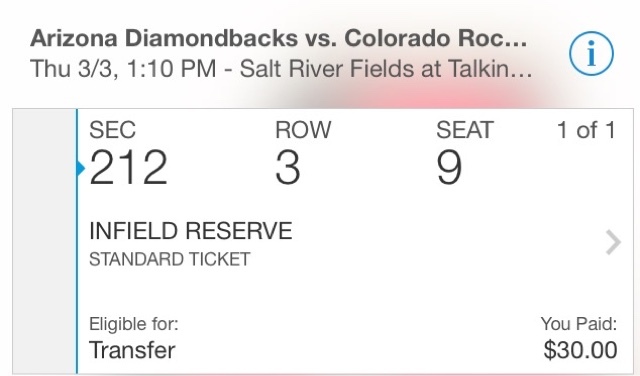 It's always great to catch a spring training baseball game, so I decided to order up a ticket last week for this Thursday's game between the Arazona Diamondbacks and the Colorado Rockies. 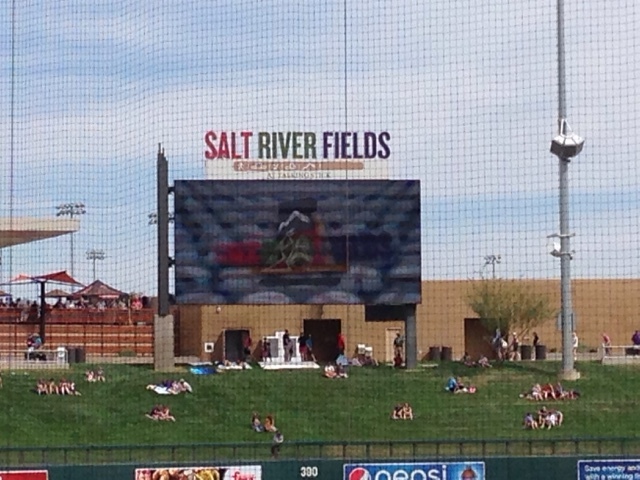 I chose the Salt River Fields ball park over the teams as they do a great job of parking where other stadiums are not nearly as good. 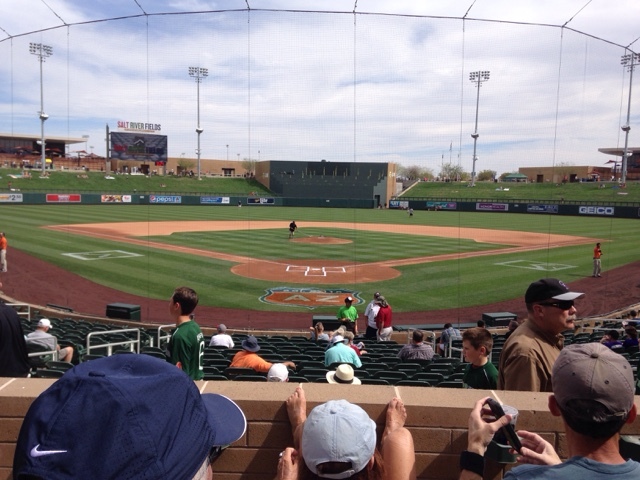 My seats put me right behind home plate and with it being near 90 in the shade today. I was protected by the canopy shade. 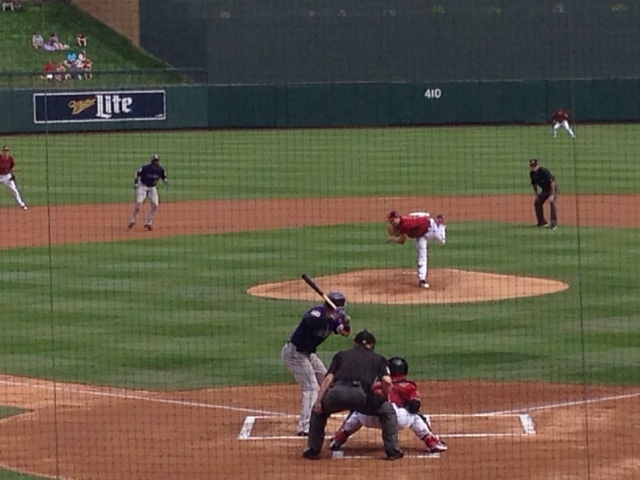 It's so nice to see the throw and the unpire's call. 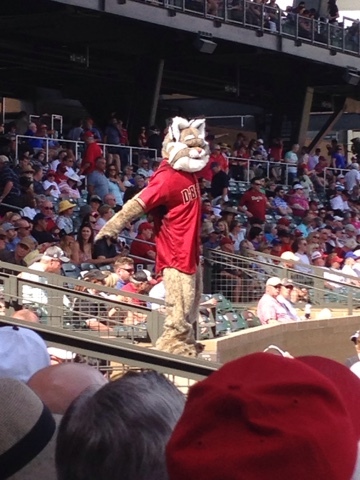 Here is D. Baxter the Bobcat, the Arazona Diamonback Mascot, jamming it up standing on the concrete barrier between sections. 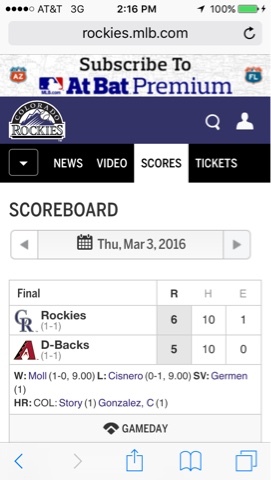 It was a close game with a good ending.